Was Leo Strauss the German Stranger? In my graduate seminar on Leo Strauss, we are now reading William Altman's The German Stranger: Leo Strauss and National Socialism (Lexington Books, 2011). Our first discussion of this book was instructive. All of our discussions in this class have been good, for which I am grateful to the students--David Bahr, Nick Blazer, Anthony Clarke, John Grove, Todd Noelle, Kate Paton, Jesse Peck, and Mike Tolhurst. Altman's book is the most meticulous, rigorous, and stimulating work on Strauss that I have ever seen. More than that, it's also an insightful study of the "crisis of liberalism" in the twentieth century, considered against the background of the whole history of political philosophy from Plato to the present. The depth of Altman's thinking becomes even more impressive when one reads his other book that has just been published--Plato the Teacher: The Crisis of the "Republic" (Lexington Books, 2012). Since I am just beginning to study Altman's work, I haven't yet made up my mind about his arguments. But I will begin--in this and in some subsequent posts--to raise some questions coming out of my seminar. Altman's bold claim is that Leo Strauss was a Jewish Nazi. He calls Strauss "the German Stranger," because he compares Strauss to the Athenian Stranger in Plato's Laws. The teaching of the Athenian Stranger corresponds to the teaching of Strauss. And just as the Athenian Stranger left Athens for Crete, where he sought to impose an anti-democratic regime of repression supported by an atheistic religion that denied Plato's teaching of dualism in the Republic, Strauss left Weimar and eventually settled in the United States, where he sought to subvert liberal democracy while secretly promoting the National Socialist atheism of those like Martin Heidegger and Carl Schmitt. Strauss pretended to do this as a Platonist, but Strauss's Plato was not a Platonist at all. Strauss's Plato was an atheist who denied the Theory of the Ideas as based on the dualistic separation of Being and Becoming as belonging to two worlds. Strauss's Plato was not the true Plato, because he was actually the Athenian Stranger of the Laws. Plato's Laws was Plato's prediction of Strauss and his Nazi program for attacking liberal democracy. Altman's critique of Strauss depends fundamentally on his disagreement with Strauss's interpretation of Plato. On the one hand, Altman defends the traditional interpretation of Plato as a Platonist--as one who defended a metaphysical dualism of two worlds that is compatible with Judeo-Christian dualism, and thus he rejects Strauss's reading of Plato as an atheistic monist who denied the eternal, transcendent reality of the Ideas. On the other hand, Altman disputes the traditional interpretation of Plato as a firm opponent of democracy, because Altman sees a defense of something close to liberal democracy in the Republic, particularly in Book 8 (557c-62e). Altman claims that under the influence of those like Nietzsche, Heidegger, and Schmitt, Strauss turned against liberal democracy in favor of National Socialism, but he disguised his position as a "return to the ancients," and particularly a return to Plato, which allowed him to attack liberal democracy as a denial of ancient wisdom. Altman's book is massive--591 pages in small print. Our first seminar discussion was limited to the Introduction (1-28) and the chapters connecting Strauss to Heidegger (143-94) and to Schmitt (195-234). Next week, our readings will go further into the book. As I have indicated, a fully adequate study of Altman's arguments probably needs to include his book on Plato. At this point, I will only offer a few scattered comments and questions, some of which come from my students. (1) My students are impressed by Altman's research and argumentation. But they are not convinced that the evidence supports Altman's claim that Strauss was actually a Nazi. My impression is that most of them are willing to concede that Strauss in the 1920s and 1930s flirted with fascist ideas. For example, Strauss's letter to Karl Lowith of May 19, 1933, appealing to "right-wing principles . . . fascistic, authoritarian, imperial principles," provides such clear evidence for this that many Straussians now admit that Strauss was being seduced by fascist ideas at this time. But my students are not yet persuaded that the evidence surveyed by Altman proves that Strauss was a Nazi from 1933 to the end of his life. Altman explains that "Strauss did what no mere Nazi could have done or even dreamed of doing: he boldly brought his anti-liberal project to the United States. . . . he tirelessly promulgated his 'Platonic' critique of liberal democracy in the belly of the whale" (26). Apparently, Altman sees this as mostly a negative activity of attacking liberal democracy: "I see the German Stranger's project as primarily destructive; it was the theoretical foundation of Liberal Democracy in general that he sought to annihilate, not some new form of totalitarianism that he aimed to erect." Altman explains: "it is altogether wrong to think that Strauss meditated the rise of National Socialism in his adoptive home: his goal was less ambitious although no less dangerous as a result. Strauss was patient, far more so than some of his followers have proved to be. His purpose was simply to take Germany's western enemy out of the picture: to destroy Liberal Democracy's faith in itself. In this project, he has been remarkably successful. In the First World War, a single man in a sealed train had eliminated Germany's eastern enemy: Strauss should be understood as the westward-bound 'Lenin of the Right' in the Second" (516). Where's the evidence that Strauss "has been remarkably successful" in destroying "Liberal Democracy's faith in itself"? At the very least, wouldn't Altman have to show that Strauss's leading students have been "remarkably successful" in this? But surely Harry Jaffa and the "West-Coast Straussians" have been defending liberal democracy, and the "Midwest Straussians" like Martin Diamond have suggested that modern Madisonian liberalism might be defended as superior to premodern thought in promoting human excellence. Is Altman suggesting that only the "East-Coast Straussians" (Bloom, Pangle, and Mansfield) detected Strauss's true teaching about the need to destroy Liberal Democracy? But if so, shouldn't Altman explain how they have carried out this "remarkably successful" project? Would Altman say that those Straussians (like Jaffa and Diamond) who have launched vigorous defenses of liberal democracy have been taken in by the exoteric teaching of Strauss, while ignoring the esoteric teaching that attacks liberal democracy? Even if that were so, wouldn't that indicate that some of Strauss's most influential students did not try to destroy liberal democracy? But how then can Altman conclude that Strauss has been "remarkably successful" in his Nazi project if so many of his students have not been advancing that project? (3) Is Altman suggesting that Karl Popper's argument for Plato as the original source of modern totalitarianism is at least partially true? After all, Altman seems to say that Plato's Athenian Stranger really was a proto-Nazi. Altman rightly draws attention to Strauss's identification of the guardians of the law in Plato's Laws as "secret police" (GS, 25; Strauss, AAPL, 89). Would Altman say, however, that Popper failed to see the implied defense of liberal democracy in the Republic? And yet Altman never mentions Popper (but see his Plato, 352-53). (4) Altman's reading of Plato's Republic as supporting democracy depends heavily on noting the parallel between the description of democracy in the Republic and Hesiod's Age of Heroes (WA, Plato, 348-58). Altman picked up this point from Strauss, although Altman says "he doesn't draw the proper conclusions from the parallel he discovered" (294). But doesn't this at least hint at a Straussian reading of Plato as supporting democracy? After all, Altman praises Arlene Saxonhouse for developing this idea of Platonic democracy, and she can be identified as leaning towards Straussianism. (5) Altman writes: "Strauss's discovery that Democracy corresponds to Hesiod's Age of Heroes is one of several great contributions he made to Platonic studies. Weimar proves to be the Age of Heroes in Germany's history, and had there been any actual German Platonists in the early 1930s, they would have combated Thrasymachus amidst the shadows of the Cave" (13). But isn't it true that some of the German philosophers who joined the Nazi Party were Kantians who embraced a Platonic conception of eternal values as conforming to the Idea of the Good? I have written about this in a previous post. I will have more to say about Altman's book in future posts, which will include a post on historicism and Darwinism. Barack Obama and the Progressive Myth of "Social Darwinism"
Five years ago, I participated in a debate on Darwinian conservatism at the American Enterprise Institute in Washington. The New York Times published a front-page article on the debate by Patricia Cohen. The article was generally accurate in reporting my arguments. But, predictably, she brought up the story of "Social Darwinism," and she wrote: "Victorian-era social Darwinists like Herbert Spencer adopted evolutionary theory to justify colonialism and imperialism, opposition to labor unions, and withdrawal of aid to the sick and needy." Every part of that sentence is false. Spencer never identified himself as a "social Darwinist." He denounced both colonialism and imperialism. He advocated labor unions, as long as they were voluntary. And he argued for the importance of charity in caring for the sick and needy. A few days after Cohen's article appeared, the Times published a "correction"--saying that Spencer had opposed both colonialism and imperialism. This congressional Republican budget is . . . a Trojan Horse. Disguised as deficit reduction plans, it is really an attempt to impose a radical vision on our country. It is thinly veiled social Darwinism. It is antithetical to our entire history as a land of opportunity and upward mobility for everybody who's willing to work for it; a place where prosperity doesn't trickle down from the top, but grows outward from the heart of the middle class. And by gutting the very things we need to grow an economy that's built to last--education and training, research and development, our infrastructure--it is a prescription for decline. As Obama indicates in the rest of the speech, particularly at the end, he is using "social Darwinism" as a label for a social theory that favors the power of rich selfish people who have no social sense of responsibility for others less fortunate than they. Jonah Goldberg has written a good article for The Weekly Standard on how this illustrates the "Fantasies of Social Darwinism" as a "progressive talking point." George Smith has also written a good series of essays on the common misconceptions about Social Darwinism. Obama's speech falls into an old tradition of American progressive rhetoric that can be found in some earlier speeches, as when he identified the Republican policies as "Social Darwinism--every man or woman for him or herself." As Goldberg indicates, scholarship over the past 30 years has largely refuted most of what Hofstadter argued. Prior to the 1930s, the term "Social Darwinism" was rarely used, and when it was used, it was a label for something that the author was criticizing. Furthermore, it was not until Hofstadter's book appeared, that people like Spencer were generally identified as Social Darwinists. So the idea of Social Darwinism as Hofstadter constructed it seems now to be a distortion of historical reality if not a complete fabrication. For me, the biggest problem is that Social Darwinism has almost nothing to do with the writings of Charles Darwin, particularly The Descent of Man. That's what I say when my critics casually assume that I'm trying to revive Social Darwinism. One should notice that in Social Darwinism in American Thought, Hofstadter never proves that Darwin himself was a Social Darwinist. Hofstadter comes close to admitting this when he says that "Darwin himself was not an unequivocal social Darwinist" (238). Hofstadter offers direct quotations from Darwin's Descent on only two pages of the book (91-92). Those quotations suggest that Darwin could not have been a Social Darwinist of the sort portrayed by Hofstadter, because they show Darwin stressing the natural sociality of human beings and their natural moral sense based on sympathy for the needs of their fellow human beings. "Selfish and contentious people will not cohere," Darwin declared, "and without coherence nothing can be effected." If Social Darwinism is all about selfish competition, as Hofstadter and Obama would say, then Darwin was not a Social Darwinist. Geoffrey Hodgson has surveyed the use of the term "Social Darwinism" in Anglophone academic journals over a century ("Social Darwinism in Anglophone Academic Journals: A Contribution to the History of the Term," Journal of Historical Sociology [17 (December 2004): 428-63). He found only one piece of writing in which a scholar defended "Social Darwinism." Remarkably, this author began his article by stating: "By 'Social Darwinism' I do not mean those propositions of the doctrine of evolution which Darwin chiefly emphasized" (D. Collin Wells, "Social Darwinism," American Journal of Sociology [12 (March 1907): 695-716). In a response to this article, Lester Ward noted that the sociologists who talk about "Social Darwinism"--for the sake of criticizing it--use this term "without knowing what Darwin really stood for," because they seem ignorant of Darwin's teachings ("Discussion," The American Journal of Sociology [12 (March 1907): 709-10). In another article, Ward observed: "I have never seen any distinctively Darwinian principle appealed to in the discussions of 'social Darwinism'" ("Social and Biological Struggles," The American Journal of Sociology [13 (November 1907): 289-299]). If we think that Darwinism should have some clear connection to the teachings of Charles Darwin, then Social Darwinism is not Darwinism. Chapter 9 of Darwinian Conservatism is on the debate over Social Darwinism. Is David Brooks's The Social Animal an argument for a new form of scientism that aims to replace philosophy with science? That's the claim of Benjamin Storey in an essay for The New Atlantis. He seems to be responding not only to Brooks's book but also to one of Brooks's articles for the The New York Times a few years ago entitled "The End of Philosophy". Although Storey never mentions Leon Kass, I detect the influence of Kass's attack on "scientism." In some previous posts, I have explained why I disagree with Kass's move away from the Aristotelian/Darwinian naturalism of his early writings. As a political theorist who argues for applying Darwinian science to issues in political philosophy, I often hear the sort of argument that Storey makes here--that I am mistaken in thinking that biological science can replace political philosophy. But this complaint assumes that there must be an absolute separation between philosophy and science, and I reject that assumption, because I follow a premodern tradition of thought in which what we today call natural science would be called natural philosophy. Aristotle was a philosopher, but much of his writing would today be classified as biology. When Ed Wilson says that our ultimate aim should be "consilience"--the unity of all knowledge, with biology as the link between the natural sciences, the social sciences, and the humanities--he belongs to this Aristotelian tradition. Brooks's book is in this same tradition, in which the natural desire for intellectual understanding requires a unification of all knowledge, particularly for understanding human nature in all of its multileveled complexity. By contrast, Storey belongs to a modern tradition of thought that insists on an absolute separation of the various domains of intellectual inquiry, so that each intellectual domain is strictly limited, and there can never be any unification of thought. This modern tradition is manifest in the organization of college curriculums, which separate the natural sciences, the social sciences, and the humanities, and then divide these areas of study into departments. The demands for interdisciplinary research and teaching in addressing the greatest questions of thought express the frustration of those who see that the separation of disciplines denies the unity of knowledge that should be the goal of a liberal education. Notice that it is not enough for Storey that Brooks combines the insights of philosophers, poets, and theologians with those of modern science, because Storey insists that scientists must be absolutely prohibited from addressing the questions raised by philosophers, poets, and theologians. Against this, I argue that the deepest understanding of the greatest questions of life comes from the unification of knowledge, because this is the only way to understand the multileveled complexity in the phenomena that we want to study. Storey rejects this position, apparently because he assumes that any scientific explanation of anything must be reductionistic in a way that distorts the complex reality of the human phenomena. So, for example, Storey suggests, consider the topic of love. From this, Storey's reader will assume that Brooks reduces the falling in love of Harold and Erica to the neurochemistry of their brains, while saying nothing about the need for "a beach, a bottle of wine, and a sunset." But any reader who actually looks at Brooks's book will see that Brooks presents the growing love between Harold and Erica as manifesting "the desire for limerence" or "the urge to merge," which is "the desire for the moment when the inner and outer patterns mesh" (208). He sees this emerging when Harold and Erica ride bikes to the top of a hill overlooking some water. Harold stopped at the top of the hill and watched her huff up. He still had the huge grin on his face, and she was laughing between her gasps, when their eyes met as she pulled up alongside him. Erica looked into Harold's eyes more deeply than she ever had, and saw through them into some of the things he liked and cherished: his flag-football games, his backpack filled with Great Books, his excitement for her and for their projects together. To explain what is happening to them, Brooks identifies the likely brain mechanisms supporting it. But he also quotes a dozen or more poets, philosophers, theologians, historians, and social scientists, including Matthew Arnold, Stendhal, C. S. Lewis, Emile Durkheim, William McNeill, Plato, and Allan Bloom (199-213). To me, this looks like a pretty good way to grasp "the whole of that experience" of love. But apparently Storey thinks that saying anything about what might be happening in the brain when people fall in love necessarily distorts the reality of the experience. On the contrary, I say that whatever we discover about the science of the brain as supporting romantic love and every other part of our evolved human nature deepens our understanding of who and what we are. Oddly enough, in the last paragraph of his essay, Storey contradicts the rest of his essay as he apparently endorses the need for unified knowledge: "On the question of ourselves, we can have philosophers, theologians, poets, and, yes, scientists, for our companions and conversation partners" (152). I agree. Despite the title of Brooks's essay on "The End of Philosophy," Brooks's argument is not that biological science must bring the end of philosophy, but rather than this science adds to the great debates of philosophy in a way that supports some philosophic positions against others. So, for example, the rationalist tradition of philosophy that assumes that human conduct should be governed by pure reason without emotion seems to be refuted by scientific research showing that pure reason by itself cannot explain human conduct. That's one way in which Darwinian science favors the British Enlightenment tradition against the French Enlightenment tradition. This also favors the Aristotelian tradition, because as Brooks indicates in The Social Animal, brain science and modern biology generally is moving towards confirming most of what Aristotle teaches in the Nicomachean Ethics (128, 323, 363), which is not surprising given that Aristotle's moral and political philosophy is grounded in his biology. I wrote a series of blog posts on Brooks's book in March and April of 2011. Other posts on related topics can be found here, here, here, and here. "However little the feelings or views of such a man may be on his first entering a neighborhood, this truth is so well fixed in the minds of the surrounding families, that he is considered as the rightful property of some one or other of their daughters." "This is the happiest story you've ever read. It's about two people who led wonderfully fulfilling lives. They had engrossing careers, earned the respect of their friends, and made important contributions to their neighborhood, their country, and their world." When readers of Jane Austen's Pride and Prejudice read the first two sentences of the book, they smile, and they know that this is going to be a novel of comic irony, turning on the problems of the Bennet household in finding husbands for five marriageable daughters. Apparently, many of the readers of David Brooks' The Social Animal don't recognize a similar irony in its opening paragraph. In fact, Charles Murray has written a review of the book for The Claremont Review of Books that criticizes Brooks because his story of Harold and Erica is not really "the happiest story you've ever read." "To my mind," Murray complains, "they led impoverished lives." In my course this semester on "Politics and the Life Sciences," we are now reading Brooks' book, and I have asked the students to read Murray's review. I have been surprised that most of them agree with Murray's criticisms, and they don't notice that Murray contradicts himself at the end of his review, when he guesses that Brooks' opening sentence is ironical, and thus Brooks wants his readers to see that the story of Harold and Erica is not really "the happiest story." Anyone who reads the book carefully will see the mistakes that Harold and Erica make in their pursuit of happiness, mistakes that illuminate the wide range of natural human desires that would have to be satisfied for perfect happiness. Murray begins his review by comparing Brooks' book to other books that survey scientific research in a way that makes it comprehensible to a general audience of readers, and he mentions The Bell Curve (1994), the famous (and controversial) book on the science of IQ coauthored by Murray and Richard Herrnstein. Murray doesn't mention that although Brooks talks extensively about IQ research, he never cites Murray's book. It is a truth universally acknowledged that a scholarly writer who fails to see his name in the index of a new book must have a need to write a negative book review. As you might expect, Murray doesn't like what Brooks says about IQ. Brooks is too uncritical about the evidence for malleability of I.Q. and understates the importance of differences in I.Q. at the upper levels. He uses an escape word to downplay the role of I.Q. in Harold and Erica's success, saying they "have no extraordinary physical or mental gifts." It depends on how you define "extraordinary." Harold's I.Q. had to have been in the top few centiles of the distribution, and Erica's in the top decile, given the specific cognitive demands of their accomplishments. But his summaries of the relationships of I.Q. to most outcomes in life are reasonable given his topic is the effects of cognitive ability on individuals (small), not on social trends (large, but not his topic). Notice that at the end of this paragraph, Murray concedes that Brooks' arguments for downplaying the importance of IQ for individual success are generally correct. Murray's claim about Brooks being "too uncritical about the the evidence for malleability of I.Q." is apparently a reference to Brooks' emphasis on the "Flynn effect"--the studies of James Flynn on how I.Q. scores in the developed world have risen steadily over the past 60 years, which suggests that a cognitively challenging environment has stimulated increasing cognitive ability. Murray doesn't explain why this isn't evidence for the malleability of IQ in response to the cultural environment. Moreover, Murray doesn't tell his readers that Brooks agrees that Erica and Harold had to have high IQ to accomplish what they did. They probably had to cross the threshold of a 120 IQ to do what they did. Forrest Gump (with an IQ of 76) could not have lived the sort of life that Harold and Erica lived. But Brooks' point is that over the threshold of 120 IQ, there is little correlation between more intelligence and more achievement. High IQ is necessary but not sufficient to explain high achievement. What really counts is not so much mental force as mental character, which depends on moral character, on moral virtues like self-control and intellectual virtues like practical wisdom (163-66). That's why Brooks concludes that Aristotle was right in the Nicomachean Ethics about the importance of proper moral habituation for happiness. In fact, one might well conclude that Brooks shows how modern science confirms almost everything in Aristotle's Ethics (128, 323). Murray criticizes Brooks for portraying a view of happiness in life attained through professional careers and fame, which neglects three other sources of deep satisfaction--family, community, and faith. But in quoting passages from the book, Murray does not direct the readers attention to the many passages where Brooks recognizes the defects in the life of Harold and Erica. Harold wanted to have children. When he tried to talk about this with Erica, she reacted with anger. Brooks explains: "It was one of the most important subjects of their lives. It had been their most important disagreement, a cancer at the center of their relationship. And they never spoke about it again." (268) Clearly, Brooks depicts this as a serious mistake. Murray criticizes Brooks for not recognizing the importance of deep and enduring friendships. And yet Brooks repeatedly speaks about the need for friendship (197, 210-11, 313-14), and he gives us a vivid sketch of Harold's life with his friends when he was between twenty-two and thirty. "Being part of the Group was an end in itself. More time with his friends meant more of a feeling of being alive, and there was no higher purpose involved" (193-94). Murray complains that these friendships are not continued later in life, but Brooks indicates that both Harold and Erica suffered from breaking off such friendships (342-43). Murray notes that Harold and Erica were not always happy in their marriage, because their devotion to their separate careers drove them apart. He quotes the remark that "as the years went by, they fell out of the habit of really talking, or even looking each other in the eye" (265). But Murray doesn't acknowledge that Brooks points to this as a serious mistake. "They both became profoundly sad. . . . For Harold, as for Erica, the profoundest source of satisfaction was work, and it wasn't enough. Harold wasn't going to commit suicide, but if someone told him he had a fatal disease, he felt he could face the prospect with equanimity" (266). Erica's brief adulterous tryst comes during this emotional crisis in her marriage. Her immediate response is to feel a deep pain from shame and remorse, which Brooks uses to illustrate the basis of morality in the moral sentiments of evolved human nature. He sees her moral failing as coming from her drifting away from what she should have known was most important for her. "Erica had become a shallower person, disconnected from the potential of her own nature" (293). Erica rediscovers her love for Harold, and part of that is realizing that Harold has an intellectual depth that she lacks. "He would never be an earthshaking titan like Mr. Make-Believe. But he was humble and good and curious. And with his disparate curiosities and research frenzies, he was engaged in the most important search, the search to find meaning in life. People like that are worth staying close to" (293). Once Harold and Erica retire, Erica joins him in his search for meaning, which becomes the theme of the last two chapters. Over the last eight years of their life, they travel around the world, leading tours. Harold prepares for each tour by doing intense historical studies, so that this touring was "like a travelling course in human civilization" (359). For Erica, these trips were joyful exercises in which she could "experience intense bursts of learning" (360). For Harold, the trips were a continuation of his life-long quest for understanding. By the end of their story, they are living in Aspen, and Harold's ageing body forces him to become sedentary. As he looks over the natural scenes around him, he thinks back over his life in search of meaning, and Brooks identifies this as his "contemplative life" (363-68). In this and in other ways, the structure of Brooks' book reflects the structure of Aristotle's Nicomachean Ethics, which ends with the claim that the philosophic life is the highest life--the happiest life--for human beings. And yet Brooks suggests that human happiness or flourishing requires a wide range of goods--not only the good of the contemplative life, but also the goods of social life secured by the moral virtues. Here are a few excerpts from the last section of Brooks's book--"The Final Day." Harold "supposed that this essence [his soul] was manifested in neurons and synapses. He had been born with certain connections, and since the brain is the record of the feelings of a life, he had slowly accreted new neural connections in his head. And yet Harold couldn't help but think how enchanted it all was. The connections had been formed by emotion. the brain was physical meat, but out of the billions of energy pulses emerged spirit and soul. There must be some supreme creative energy, he thought, that can take love and turn it into synapses and then take a population of synapses and turn it into love. The hand of God must be there" (372). "Had he transcended this earthly realm? No. He always had a sense there was something beyond life as science understands it. he had always somehow believed in a God who existed beyond time and space. But he had never fallen in with religion. He had lived a worldly life and, regretfully, had never tasted Divine transcendence. "Had he loved? Yes. The one constant in his adult life had been his admiration and love for the good woman who was his wife. He knew that she did not reciprocate his love with the same strength and devotion. . . ." (374). Harold's conscious mind fades into the unconsciousness of death. "It would be interesting to know if this meant he had also entered a kingdom of heaven, God's kingdom. But that was not communicated back to Erica. His heart continued to beat for a few minutes, and his lungs filled and emptied with air and electrochemical impulses still surged through his brain. He made some gestures and twitches, which the doctors would call involuntary but which in this case were more deeply felt than any other gestures could be. And one of them was a long squeeze of the hand, which Erica took to mean good-bye. In the spring of 2011, I wrote a series of posts on Brooks' book. The first one can be found here. One of the best responses to Shadia Drury's Political Ideas of Leo Strauss is David Schaefer's "Shadia Drury's Critique of Leo Strauss,"
which was published in the Political Science Reviewer. As indicated in my previous posts, I have not seen any clear refutations of Drury's central argument--that while Strauss regarded the philosophic life as the only good life by nature, he saw the moral life as not good by nature, because morality depended on religious beliefs that were lies, even if noble lies. As far as I can tell, Schaefer does not refute that argument. On the contrary, he seems to implicitly agree with it. This confirms Drury's observation--in her "Reply to My Critics" --that many of her Straussian critics actually agree with her interpretation of Strauss. Schaefer's point here is unclear. Is he suggesting that in stating a view of "the natural right thinkers," Strauss is not endorsing that view himself? Or is Schaefer saying that although the moral man might "appear" to be "mutilated," he really is not? Or is Schaefer saying that Strauss is only raising this as a "question" without a clear answer from Strauss? I grant that there is some possibly qualifying language in this passage--"if," "appears," and so on. Nevertheless, this does seem to be a clear affirmation of philosophy as "the ultimate end of man," so that justice and moral virtue have worth only in securing "conditions of the philosophic life." Moreover, in his lecture on "Reason and Revelation" (1948), which was not published until 2006, Strauss clearly seems to be speaking for himself when he declares that "philosophy is essentially the preserve of the very few individuals who are by nature fit for philosophy," that philosophy is the only happy life, that the great majority of human beings must be guided by "noble lies," and that all nonphilosophic lives are "forms of human misery, however splendid" or lives of "despair disguised by delusion" (Heinrich Meier, 2006, 146-47). And while Schaefer often seems to be denying Drury's claim that Strauss sees moral life as a "mutilated" existence, Schaefer actually endorses this interpretation. For example, Schaefer writes: "From the perspective of philosophy, it may be that religious claims regarding the afterlife, a God who vindicates justice, etc., are pleasing or noble 'delusions' rather than demonstrable truths; and that such beliefs reflect the need of most human beings for consolation as well as moral fortifications in the face of the terrifying aspects of the human condition" (102). (See also pp. 86-87, 95-96, 98-99, 106, 109, 123-24.) Unlike the philosophic few, most human beings--the merely moral human beings--cannot face the "terrible truth" about the moral indifference of the universe, and therefore they need the noble lies of religion to support their moral order. I have argued for a Darwinian grounding of natural right in evolved human nature, which is related to what Strauss says about how "moral distinctions" could be grounded in "human nature, as distinguished from nature in general" (NRH, 94). 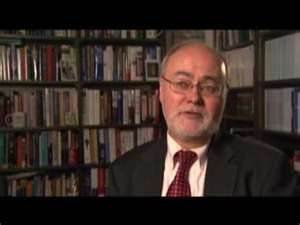 Although he does not elaborate the point, Schaefer points in the same direction by citing the same passage, and by citing James Q. Wilson's Moral Sense as indicating how "morality has a foundation in human nature" in so far as we can identify a natural "moral sense" shaped by human evolution (86, 107-110, 122). Strauss left this opening for Darwinian natural right. He didn't develop it, however, because he didn't give much attention to the Scottish moral sense tradition (especially in the works of David Hume and Adam Smith), and he didn't indicate how this appeal to the natural moral sense or moral sentiments was given an evolutionary explanation by Darwin. Strauss did, however, identify Darwinian science as being on the side of reason in the reason-revelation debate, particularly in his 1948 lecture. As I have argued many times, Darwinian natural right recognizes the philosophic life as a naturally good life, because philosophy or science satisfies the natural desire for intellectual understanding, but Darwinian natural right also recognizes the moral life as a naturally good life, because morality satisfies a broad range of natural desires for social bonding and justice as reciprocity. Oddly enough, Strauss never lays out the argumentation that would prove his claim that the philosophic life is the only life that is good by nature. As Schaefer indicates, Strauss does point to the arguments for the supremacy of the contemplative life in Book 10 of Aristotle's Nicomachean Ethics. But, as I have indicated in some previous posts, those arguments are remarkably dubious, and they contradict Aristotle's arguments in Books 8-9 for a more inclusive conception of the human good, centered on friendship, that would embrace a wide range of moral and intellectual goods. Darwinian natural right would take that more inclusive view of the generic goods of life as satisfying the 20 natural desires of evolved human nature. The Straussian alternative to Darwinian natural right--the alternative taken by many of Strauss's students--is to deny that there is any natural grounding for morality or politics, and thus to embrace a moral nihilism in which moral order is an artificial construction based on noble lies that serve to secure the life of the philosophic few. Such a view supports the tyranny of philosophers. I continue to be perplexed as to why conservatives are so enraptured with Allan Bloom's Closing of the American Mind. Simon and Schuster is now publishing a 25th anniversary edition of Bloom's book with an Afterword by Andrew Ferguson. Ferguson's Afterword has just been published in The Weekly Standard, the leading journal of neoconservative thought. The article can be found here. Like many conservatives, Ferguson praises the book. But why would a conservative praise an author who is fervently devoted to Nietzschean nihilism? In a previous post, I have pointed to some of the evidence of nihilism in Bloom's book. Is there any evidence that he learned this nihilism from his teacher--Leo Strauss? Shadia Drury's The Political Ideas of Leo Strauss (first published in 1988 and then in an updated edition in 2005) was the first book on the political thought of Strauss. She argued that Strauss's core teaching was the natural superiority of the philosophic life of the few human beings capable of such a life, as the only life that was good by nature, and thus the inferiority of the nonphilosophic life of the great multitude of human beings who were incapable of living this naturally good life. She criticized this teaching as both false and dangerous. It was false because this absolute separation of all of humanity into two groups--the philosophic few and the vulgar many--was a pure fantasy rather than an accurate account of what human beings are like. It was dangerous because it promoted a tyranny of the philosophers, in which the moral, religious, and political life of the vulgar many was seen as governed by lies--even if noble lies supported by philosophers for the good of philosophy. Most of the prominent Straussians have been remarkably silent about this book. The Straussian journal Interpretation has never published a review of the book. Thomas Pangle's book Leo Strauss: An Introduction to His Thought and Intellectual Legacy (2006) does not have a single reference to Drury. The Cambridge Companion to Leo Strauss (2009), edited by Steven Smith, lists Drury's book in the bibliography; but otherwise, there is no mention of Drury in the text. This silence suggests that the Straussians are uncomfortable about trying to respond to her interpretation and criticism of Strauss's teaching on the superiority of philosophers over the vulgar multitude of human beings. Of course, the Straussians might say that they're silent about her book because it's so flimsy in its reasoning. But then we might expect that they would at least explain why they think it so flimsy. In The Truth about Leo Strauss (2006), Catherine and Michael Zuckert do try to answer Drury's argument. But if one is aware of the textual evidence cited by Drury, one can see that the Zuckerts don't fully confront the textual evidence in Strauss's writings for Drury's position. If striving for knowledge of the eternal truth is the ultimate end of man, justice and moral virtue in general can be fully legitimated only by the fact that they are required for the sake of that ultimate end or that they are conditions of the philosophic life. From this point of view, the man who is merely just or moral without being a philosopher appears as a mutilated human being. The Zuckerts never consider the strange and disturbing implications of viewing the "merely just or moral" person as a "mutilated human being," whose life has value only in so far as it promotes the life of the philosophic few. Nor do the Zuckerts comment on Strauss's propensity to throw out bold assertions like this without supporting evidence or argumentation. Drury identifies this as what Strauss calls the "tyrannical teaching" of Plato and Xenophon. The Zuckerts try to refute Drury's reading of Strauss's "tyrannical teaching" in their book (especially, pp. 155-77). But there are lots of weaknesses in their reasoning. But this ignores what Drury says about Strauss teaching that while the absolute rule of the wise would be best, "a close approximation of it exists in the rule of gentlemen, or any other regime (even a tyranny), where those in power listen to the advice of the wise" (111). The Zuckerts say that Drury has distorted what Strauss says in his commentary on Xenophon's Hiero. Simonides presents the "tyrannical teaching" in conversation with Hiero. But, according to the Zuckerts, Strauss makes it clear that Simonides is not a truly wise man (163). After all, Strauss says that "the form in which [the 'tyrannical teaching'] is presented characterizes it as a philosophic teaching of the sort that a truly wise man would not care to present in his own name" (OT, 35). But the Zuckerts are silent about what Strauss says elsewhere in his commentary about how "it is one thing to accept the theoretical thesis concerning tyranny; it is another thing to expound it publicly." Neither Plato nor Xenophon could safely expound this thesis in their own names or in the name of Socrates, but they could safely put it into the mouth of a "stranger" like Simonides (OT, 76-77). Plato makes it very easy for us to loathe Thrasymachus: for all ordinary purposes, we ought to loathe people who act and speak like Thrasymachus and never to imitate their deeds and never to act according to their speeches. But there are other purposes to be considered. . . .
Notice how careful the Zuckerts are to drop Strauss's ambiguous language: "for all ordinary purposes . . . . But there are other purposes to be considered." Notice also that while we should "loathe" people who speak and act like Thrasymachus, we are not told that the teaching of Thrasymachus is utterly false. Moreover, the Zuckerts are silent about Strauss's revealing statement that "the difference between Thrasymachus and Socrates is then merely this: according to Thrasymachus, justice is an unnecessary evil, whereas according to Socrates, it is a necessary evil" (CM, 83). The Zuckerts recognize that Strauss clearly teaches that the only natural human good is philosophy (171). But they don't comment on the troubling implications of this--that no nonphilosophic life, no matter how moral, can be truly good. They don't comment on Strauss's claim that if philosophy is the only good, then the moral life of nonphilosophers must be based on "a fundamental falsehood, albeit a noble falsehood" (CM, 125). Oddly enough, the Zuckerts speak about "the morality of the philosopher," but they also quote Strauss's remark that "philosophy is as such trans-political, trans-religious, and trans-moral" (176). How can the philosopher be moral if philosophy is "trans-moral"? The philosophic enterprise presupposes that the question of how one ought to live be settled in advance. It is settled by the pre-philosophic proof of the thesis that the right way of life, the one thing needful, is the life devoted to philosophy and to nothing else. The pre-philosophic proof is later on confirmed, within philosophy, by an analysis of human nature. However this may be, according to its original meaning, philosophy is the right way of life, the happiness of man. All other human pursuits are accordingly considered fundamentally defective, or forms of human misery, however splendid. The moral life as moral life is not the philosophic life: for the philosopher, morality is nothing but the condition or the by-product of philosophizing, and not something valuable in itself. Philosophy is not only trans-social and trans-religious, but trans-moral as well. Philosophy asserts that man has ultimately no choice but that between philosophy and despair disguised by delusion: only through philosophy is man enabled to look reality in its stern face without losing his humanity. So morality is "not something valuable in itself," because whatever value it has comes from being "the condition or the by-product of philosophizing." The moral life of nonphilosophers is "fundamentally defective," "human misery," or "despair disguised by delusion." As I have indicated in a previous post, the passage from Strauss just quoted illustrates Strauss's failure to offer any arguments to prove the supremacy of the philosophic life as the only naturally good life. He refers vaguely to a "pre-philosophic proof" that could be confirmed by "an analysis of human nature." But then he fails to lay out any proof--"however this may be." I have argued in some previous posts that while "an analysis of human nature" might show that the philosophic life is one of the generic goods of human life--because it satisfies the natural desire for intellectual understanding--this does not show that philosophy is the only natural good. Furthermore, even if a man like Socrates is naturally disposed to rank the philosophic life as his highest good, this does not prove that such a ranking is the only natural ranking of goods. Darwinian natural right recognizes all twenty natural desires of evolved human nature as constituting the generic natural goods of life that are diversely expressed in individual human beings with different natural temperaments and talents. A free society conforms to natural right by securing the freedom of people in civil society--in their natural and voluntary associations--to cultivate the moral and intellectual virtues that perfect these human goods. Some previous posts on related themes can be found here, here, here, here, and here.